The Accumulate 2019 Exhibition launches April 2019! 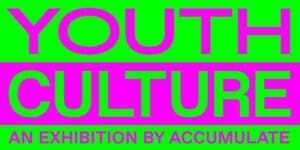 On the 9th April, ‘Youth Culture’ the Accumulate exhibition for 2019 launches at Autograph in Shoreditch, East London. We are so looking forward to showcasing the incredible creative achievements of the group of participants who have taken part in the Accumulate programme this year. Our group have covered a wide range of creative mediums in a really short space of time, given we only started with the group in January! We have introduced new workshops this year including fashion and sculpture which the group have absolutely loved. Collaborating with some big industry names which has been an absolute thrill for all of us involved. The start of the year brought together the group of participants. 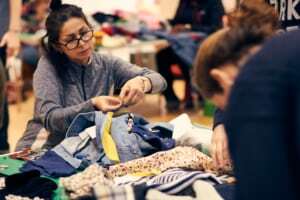 Each person taking part is affected by homelessness. Participants have come to from 7 hostels across London. For the first of our workshops we worked with our exhibition hosts and long term collaborators Autograph. 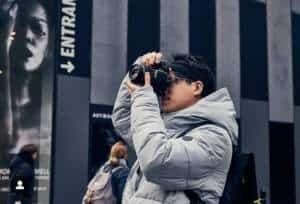 Participants got to hear about the context and background to their extensive photographic archive as well as learning new skills with the camera before shooting on location around Shoreditch. Getting out of the hostel environment is a very important element to our project. Participants enjoy the experience of visiting and exploring new places as a focus to their workshop, helping them gain confidence away from the hostel. 2019 was the first time we have worked with a fashion theme in the Accumulate programme. 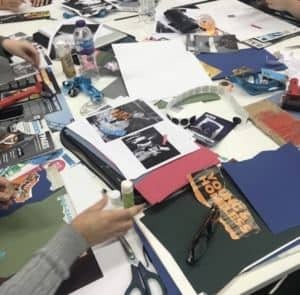 We collaborated with international fashion brand Levis, London cultural space Somerset House and the photography archive, Youth Club Archive on this workshop. Participants got inspired, working with the theme of Youth Culture, reviewing Youth Club’s amazing social history archive of images. They then went on, using these influences to customise the iconic Levis Trucker Jacket to give it their own unique and personal look. An amazing outlet for self expression, learning new skills and finding inspiration working together as a group. The levels of creativity and imagination was just outstanding! With the jackets complete, the group took part in photoshoots outside Somerset House and on location at the Printworks venue in East London. The group were fashion models and photographers for the day! The took it in turn to photograph each other, perfecting their newly learned camera skills! Along with a fashion workshop, we were so excited to introduce Sculpture to the programme this year. This workshop was kindly funded by Art UK as part of their ‘Art is all around you’ UK wide sculpture project. We also partnered again with our friends at Autograph. We were very excited to hold part of the workshop at the BBC Broadcasting House! Inspired by the sculptures and history surrounding this iconic building, our participants worked on themes that influenced their identity and own ideas of youth culture. They began modelling their sculptures first from cardboard then covering them in plaster before finally painting them with breathtaking results! Amongst all this we also found time to create Issue 4 of the Accumulate zine Decay!! The creative ideas were first produced by our group, putting their own thoughts and feelings down on paper. This work was then passed on the 60 graphic design students at Ravensbourne University who worked to create the final spreads seen in the zine. The Youth Culture pop up exhibition will feature all the work our participants have produced during these workshops, including a show of the stunning customised Levis jackets and the official launch of Decay 4. 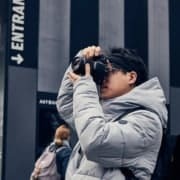 As part of this event we will also be awarding scholarships to selected Accumulate participants, giving them the opportunity to further their creative studies on the Access HE course in Design and Digital Media at Ravensbourne University London. A life changing opportunity. There is still time to register for this free event – click here. Please show you support for our participants and come along. We would all love to see you there! We have been delighted to introduce sculpture as a new medium to the Accumulate programme for 2019. 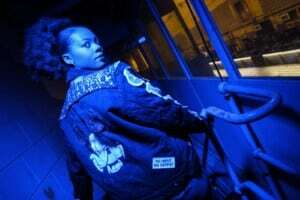 Four days of workshops hosted by the BBC at Broadcasting House, as well as Autograph in Shoreditch. 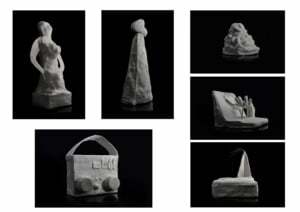 Funded by Art UK as part of their country wide ‘Sculpture Around You’ project. Day One began with discovering the history and themes behind the sculptures on display at BBC Broadcasting House. We were so lucky to have all these public sculptures brought to life during this tour by Head of History at the BBC, Robert Seatter. Following this the group expanded and explored the themes they had been discussing , committing their ideas and thoughts to paper. 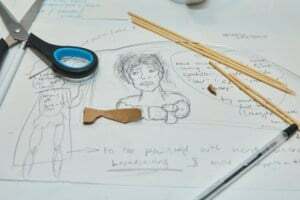 Armed with their designs, participants began working with cardboard for the basis of their models. They then added plaster to their designs. They looked just stunning! Paint was then added to completely bring the sculptures to life. Each participants worked consistently over the whole 4 days, totally committed to their project, ensuring it communicated their ideas to the viewer. Sculpture is not easy, and to take an idea from concept into 3D is a great challenge, especially with unfamiliar materials. Our group absolutely loved it. Frank, one of our participants commented “Out of all the Accumulate workshops so far, hands down I’ve liked sculpture the most.’ It’s so great to hear feedback like this. Even more evidence of how far it is possible to go with a group of dedicated and fully engaged participants.